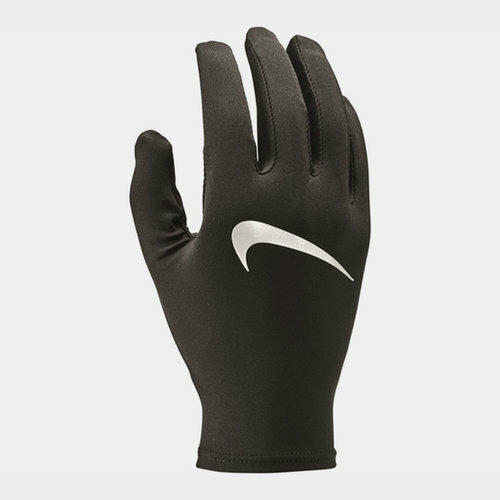 Don&apos;t let bad weather knock you off your stride with these Men&apos;s Nike Miler Running Gloves. They are crafted with Dri-FIT technology which wicks sweat away from the body, leaving the wearer dry, warm and comfortable. The stretch fit hugs your hand and the classic look is completed with a reflective Nike Swoosh on the back of the gloves.